John Pastor is an ecologist and professor of biology at the University of Minnesota, Duluth, where his teaching and research focus on the natural history and ecology of northern ecosystems. 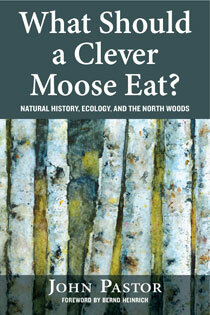 Pastor is the author of Mathematical Ecology of Populations and Ecosystems, is co-editor of Large Mammalian Herbivores, Ecosystem Dynamics, and Conservation, and has authored or coauthored 22 book chapters and over 120 papers, mostly about the North Woods. He is co-chair of the Natural History Section of the Ecological Society of America.